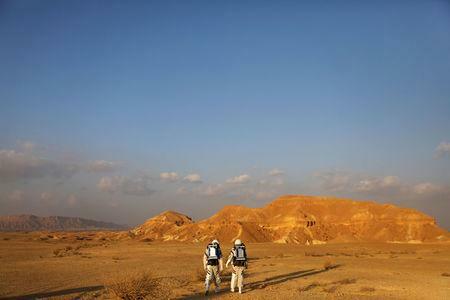 RAMON CRATER, Israel (Reuters) - A team of six Israeli researchers on Sunday ended a four-day Mars habitat experiment in Israel's Negev desert where they simulated living conditions on the Red Planet, Israel's Science and Technology Ministry said. "D-Mars is half about the research, and the other half is about the outreach. A major part of this project is getting public interest and getting students interested in space," he said. The "D-Mars" project was being held in Israel for the first time in cooperation with the Israel Space Agency. It is one of a number of Mars simulation projects taking place worldwide.